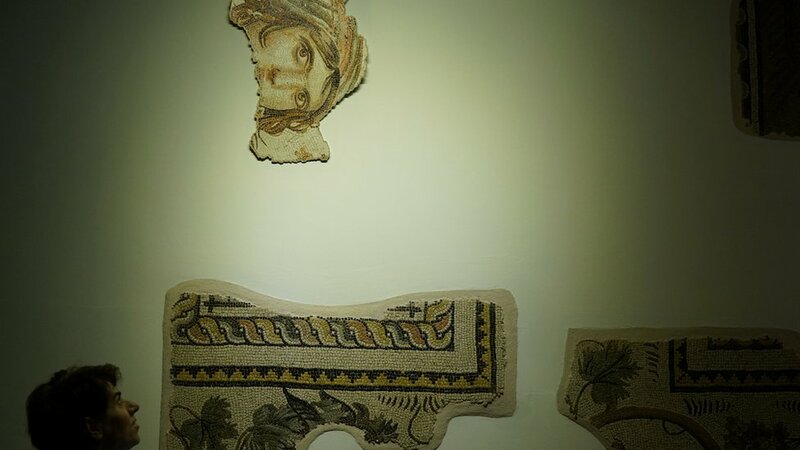 Missing fragments of an ancient mosaic known as the Gypsy Girl have been put on display in a museum in Turkey after being returned from the United States. The fragments are being displayed next to the incomplete, almost 2,000-year-old mosaic of a young girl. Her haunting eyes have become a symbol of the southern city of Gaziantep. The missing pieces were smuggled out of Turkey in the 1960s and bought by a US university, which finally agreed to give them back. Archaeologists discovered the mosaic 20 years ago while excavating the remains of the city of Zeugma, founded by a general of Alexander the Great and destroyed in the 3rd Century. However, several pieces had already been looted and smuggled out of the country. They had been bought by Bowling Green State University in Ohio. In 2012 Turkey asked for their return, which was finally agreed after five years of talks. 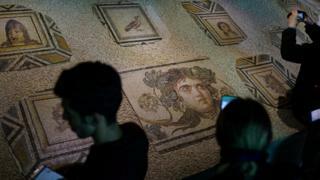 On Saturday the missing pieces were exhibited in Gaziantep’s Zeugma Mosaic Museum. “The Gypsy Girl has been reunited with her family,” Gaziantep mayor Fatma Sahin said, quoted by Reuters.